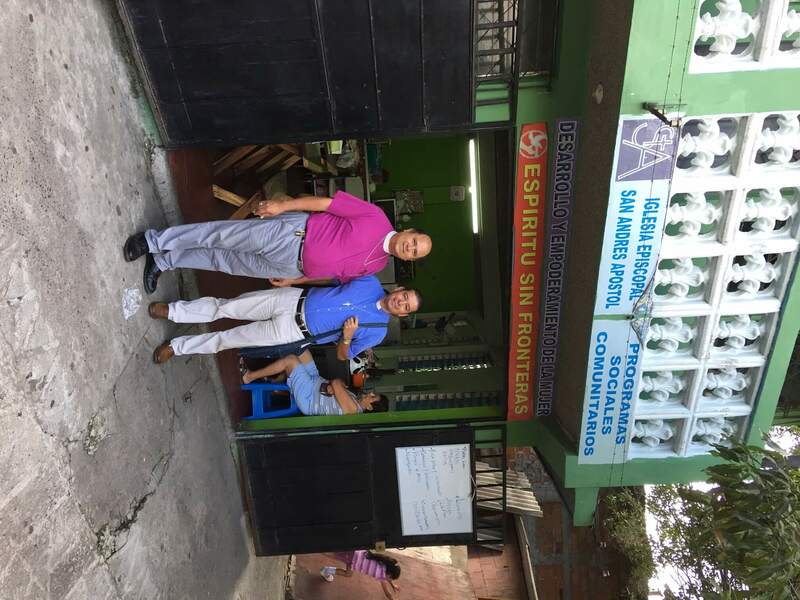 During July the Anglican Alliance visited the Episcopal Diocese of El Salvador to learn more about its mission and development activities. In every part of the Communion, the Anglican Alliance seeks to understand local models of holistic mission which can be shared for mutual inspiration and learning. This article reflects on the visit of Revd Rachel Carnegie, Co-Executive Director, and Dr Paulo Ueti, Regional Facilitator from Latin America. Sylvia is one of six women who run a cafe set up by the Episcopal Church of El Salvador. On our visit they were practising new skills in pizza production, proudly showing off their new oven. Members of the community came and went throughout our visit, stopping for a snack and a drink. This community, part of the Parish of St Andrew the Apostle, located in colony of Amatepec in the municipality of Soyapango, is populated largely by people displaced in the violent conflict in El Salvador in the 1980s. The people remain poor but hopeful and the church with its nursery school is at the heart of the community. Sylvia and her colleagues in the cafe also cook lunch for the children in the nursery school of Saint Augustine of Canterbury. The daily work of the Church in these areas brings hope but also takes courage. This is the land of the Archbishop Oscar Romero, martyred in 1980 for his committed work for justice and peace – remaining to this day a powerful influence and inspiration. Sylvia was one of many women we met whose lives were changing for the better. Far away in a rural area called Canton El Maizal we met Gloria, a local facilitator with the Church’s community initiative called Divine Providence. Here the Church has literally built a new community, for families made homeless after the 2001 earthquake. 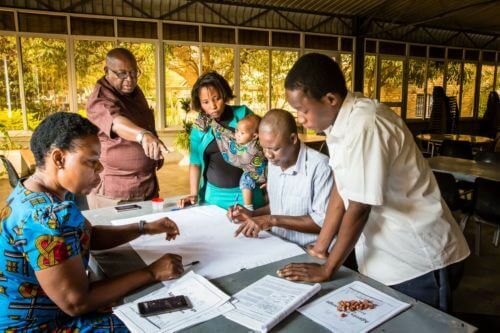 30 families were resettled in an area of land which has become a model for the church’s approach to integrated community development, with support from Episcopal Relief & Development. The lands of El Maizal include flat and hilly, rocky terrain. One third is farmed by the 30 families. The women’s cooperative also has its own fields. The church agronomist, Jose Cabezas, has also been working with the community to develop productive forests on the land too steep to farm. There is a thriving small forest of teak, moringa and fruit trees. 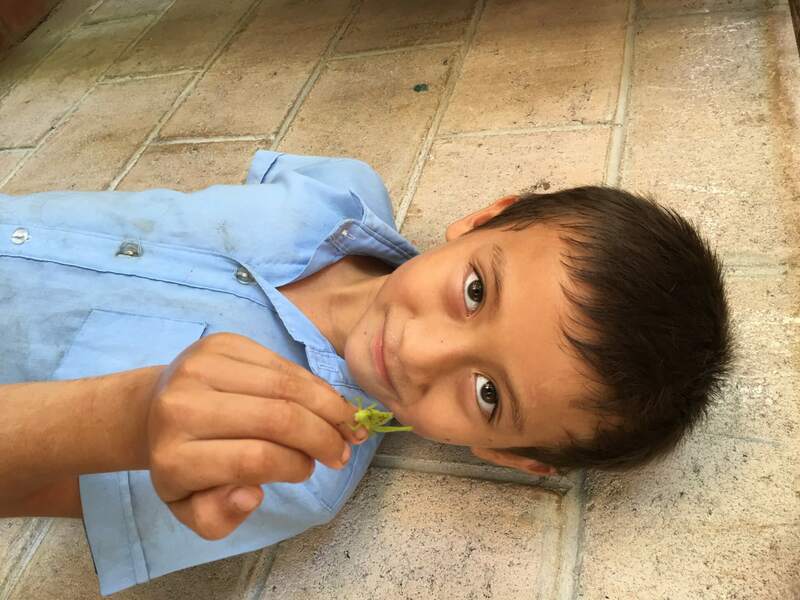 The Church also has a demonstration site, growing spices and medicinal herbs, tomatoes, and other non-traditional crops, to encourage a more diverse diet. The crops are grown organically, avoiding pesticides and GM seeds. The church’s doctor brings her equipment to visit the local clinic every fortnight. And there is a small primary school for the children, the walls covered with hand painted posters about the environment. Jose also works with young people, aiming to provide alternative skills and values to help them avoid the pervasive gang culture, which continues to traumatise El Salvador, making it the second most violent country in the world after Syria. Jose runs workshops at El Maizal and elsewhere in the country, helping young people in practical skills for farming, environmental conservation and team work. The Church advocates for peace and collaborates with peace organisations reaching out to young people both in prevention and in rehabilitation. The bishop plans for the community building at El Maizal to become a youth centre. There are more plans for further development, including building houses for 30 more families. The church and community are also aiming to create a reservoir for irrigation as well as starting a fish project. “I was amazed how little initiatives, such as the small restaurant, can make such a difference in the life of people and their community. It is not only about profit but changing the community itself,” Paulo concluded. The bishop and local priest stand outside the café by the Church of St Andrew the Apostle.